Local B3 maestro Tony Monaco will perform several different holiday and Christmas shows this weekend in Columbus. On Saturday, December 18th, Tony will perform early for Bobby Flyod at the Lobby at 5:30pm and then on to the Rumba Cafe for Tony’s power trio holiday show at 10pm. Tony will be joined by Derek DiCenzo on guitar at the Rumba that evening. 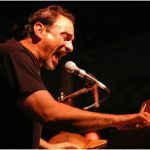 Then on Sunday, December 19th, Tony rejoins his original trio with Louis Tsamous and Robert Kraut for a reunion Holiday show at the Park Street Tavern, aptly named “a B3 Christmas.” This will be an excellent weekend for Columbus jazz fans to hear one of their own, one of the top Hammond B3 players in the world.